Actually have now sold 31 paintings from the show as things keep happening after the fact of the show. Taken several commissions from the show as well as selling more paintings. 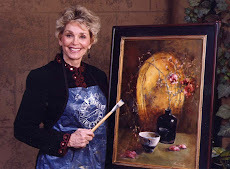 On Sunday evening, Dec. 6th, from 6-9 pm, Bluebonnet Funeral Home and Cemetery hosted an Art Show for me (their idea). My liaison was Dee McIntosh, the person I went to for a final resting place. And, he has been terrific to work with on both accounts, reception and show and final resting place. But, let me give you a forerunner of the event. Friday night about 10:30 pm I started vomiting my innards out and continued until 6 am., Saturday morning. Was supposed to load my car and take in several loads of my 68 paintings (and my frames are all really good, heavy frames). Stayed in bed until mid afternoon and then made my first trek with paintings. Came home and went back to bed. Sunday finished the loading and set up. Telling you this to say I was not sure I would function at any capacity at the Reception. Hix and Amy made a banner for me. Dee McIntosh had it installed. 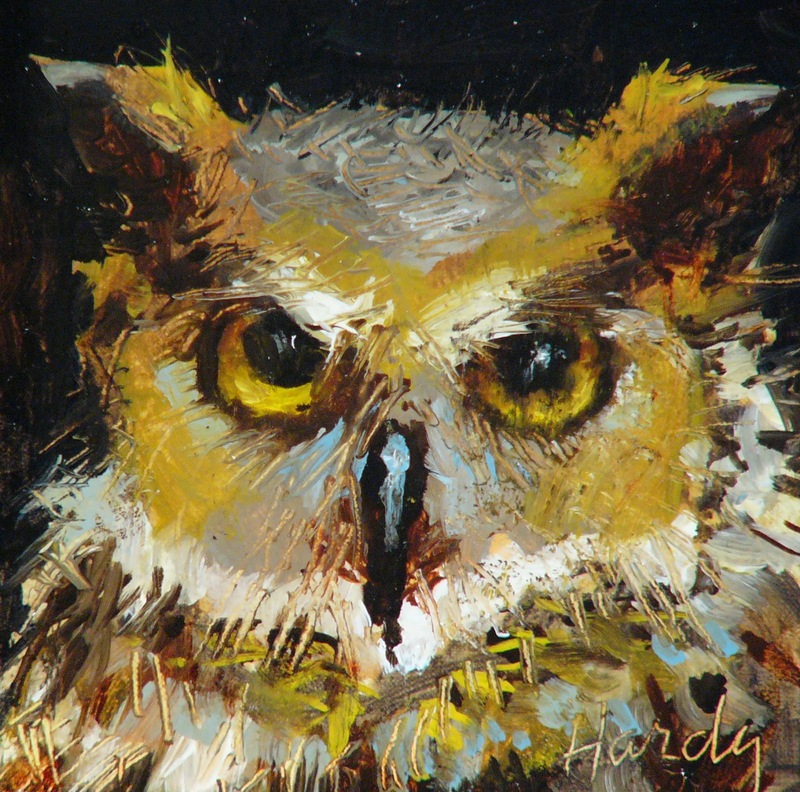 Hix Hardy was my cashier and record keeper of all paintings sold, and exactly 25 paintings sold. That was a great night. His side kick was Sandra Eddy, long time friend of mine, that manned the guest book and had people sign up for the drawing. Carol Rasco and Shirley Eblen, from the Singles group at First Methodist downtown, were my name taggers, and they were hard workers. The location was great, the music lively, and the reception superb. Best idea of the evening came from Dee on how to get paintings out of there in one fell swoop. Can you guess what vehicle was used? And then my other Son, Hunter and his wife, Liz, showed up and helped tear down, so Dee and his lovely wife, Hix, Hunter, Liz, and I got it done in record time. 25 PAINTINGS ! ! WHAT A NIGHT. 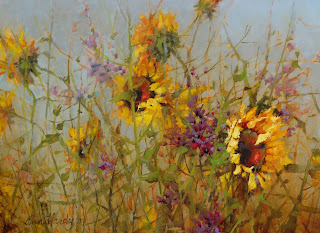 Just got word: Have been named a MASTER SIGNATURE MEMBER ARTIST for Outdoor Painters Society. Humbled. 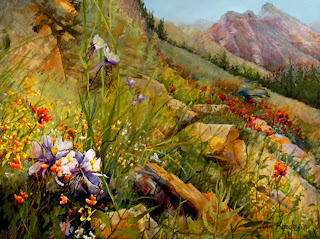 Outdoor Painters Society has only yesterday named 5 MASTER SIGNATURE MEMBERS to their ledger of painters: John Cook, Fran Ellisor, Kaye Franklin, Ann Hardy, and John Pototschnik. Am humbled and honored to be in their company. While I was in the midst of judging online the NOAPS (National Oil and Acrylic Painters Society) Fall Online Show, I happened to go to my email while waiting for a phone call for information on submitting my vote. The information stated above came to me from Tina Bohlman, President, and it rather stunned me. By the way, there were 791 entries into the show and you give considerable time to a good many of the entries. Went through them three times, and the second time voted and then checked myself. Wonderfully interesting experience. This was my third National Show to judge. So, I have been working like a beaver to get my "Painting for the Living" Show all framed and labelled, the NOAPS judging done, my Christmas cards made (which I painted the image), dancing lessons attended, college attended, and Christmas decorating done. Whuff ! ! !